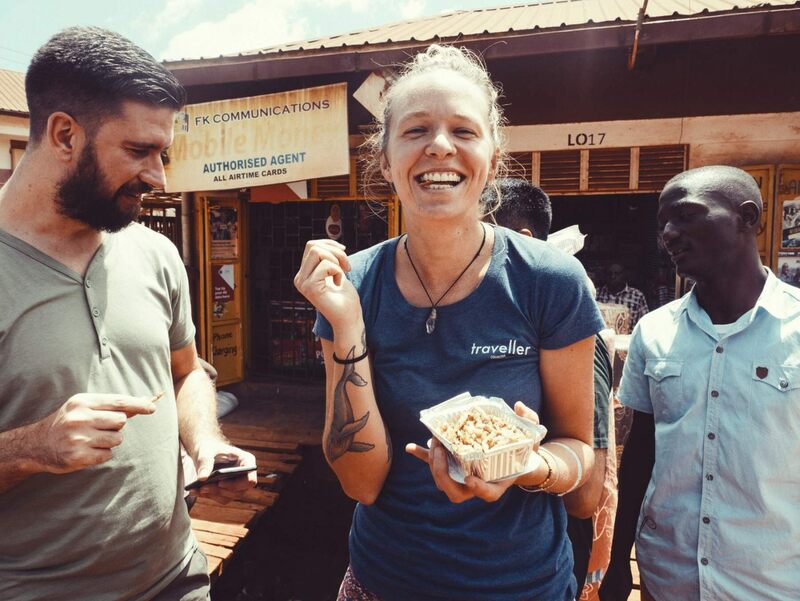 My recent trip to Uganda turned out to be very much about the local food. From eating mandazi or chapati, I've also learned how to make Rolex (rolled chapati with eggs). 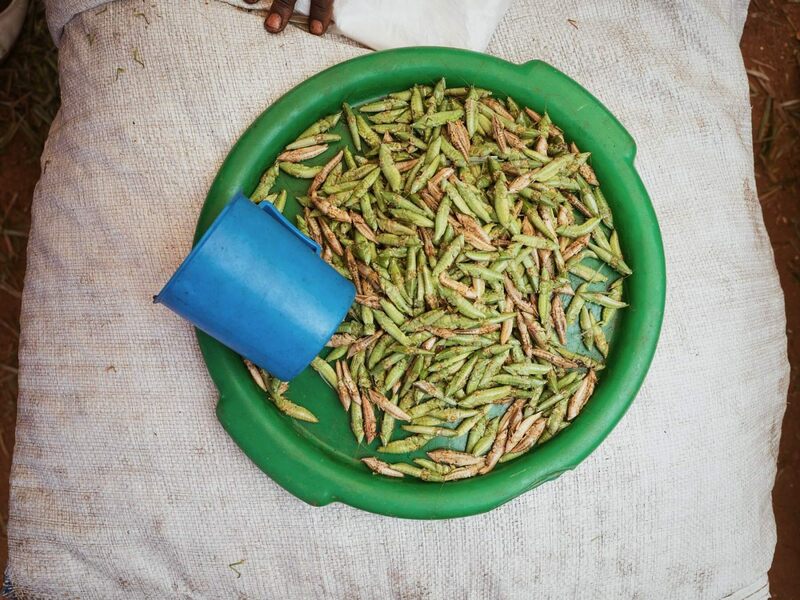 However, while this time of the year, Africa is full of delicious fruit, it's also a season for nsenene or in english- grasshoppers. 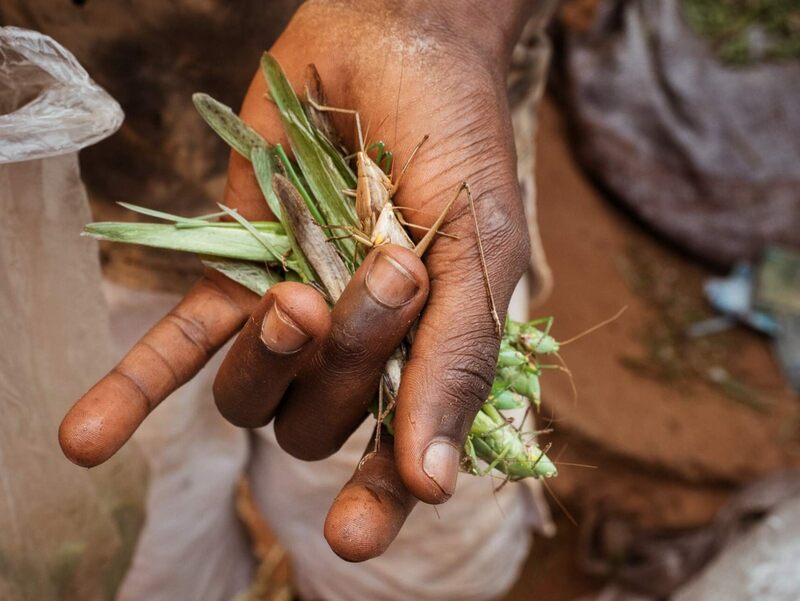 The long - horn grasshoppers or more commonly known as bush crickets only come around twice a year, in November and March and are traditionally eaten in Uganda, some parts of Kenya, Tanzania and Rwanda. I was keen on trying it, but of course I wanted to learn how they harvest them and what happens next. The grasshoppers are harvested over a night, with huge beam lights, which they are attracted to. The trick is to have a metal sheets behaving as a wall, which they hit as they flew in to the light and fall straight in to a box attached to the sheet. 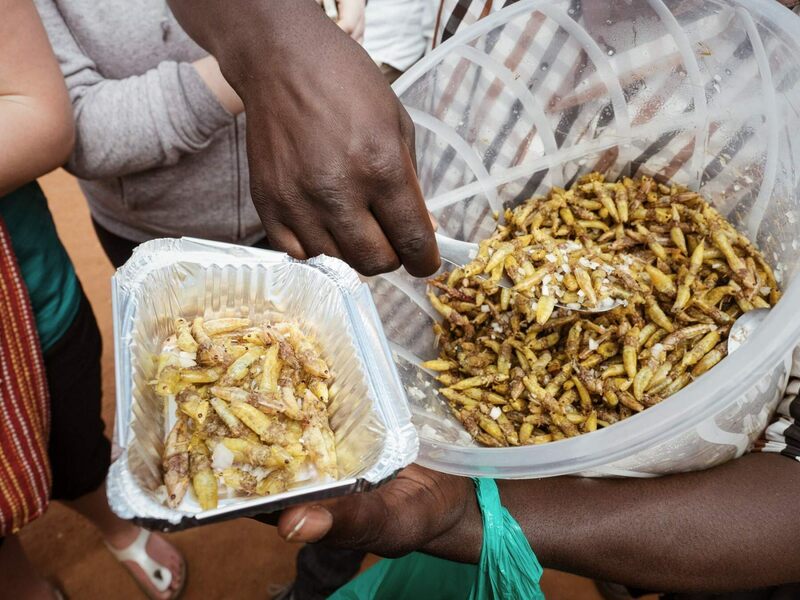 After that, they are brought on to a local market where you can buy a bag or a cup of grasshoppers, still fresh, or already fried for you to eat straight the way. 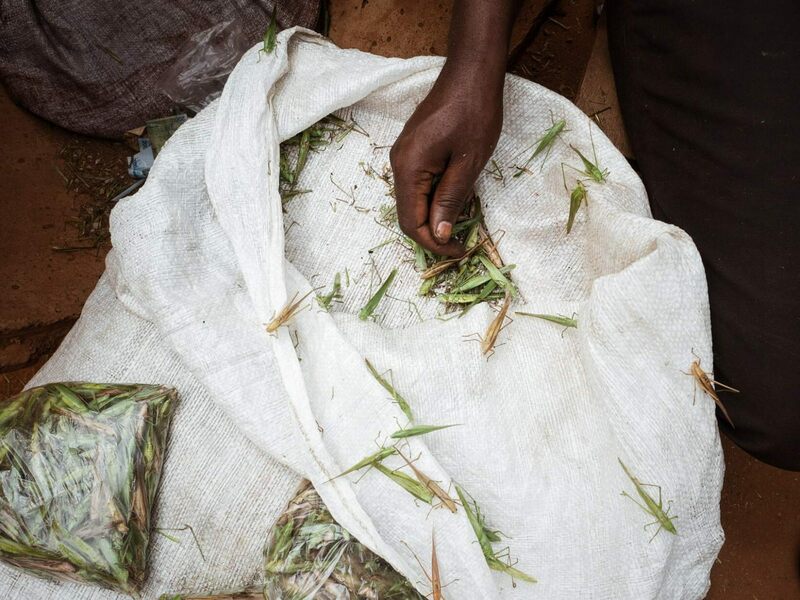 Traditionally, these grasshoppers were collected by women and kids, but only men would be allowed to eat them. It was believed that women who would eat grasshoppers, would give a birth to children with deformed heads like those of a nsenene. These days, even women enjoy this local delicacy in the ares where they are eaten. Here is me, taking one for the team. They were crunchy and bit fishy and to be very honest, I wouldn't have to have them again.